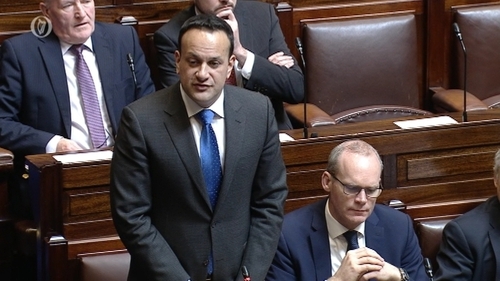 The Taoiseach has reiterated his view that Northern Ireland would have to be treated differently in any efforts to avoid a hard border in the event of a no-deal Brexit. Mr Varadkar told the Dáil that there is commentary in London which suggests that special arrangements would solve "all our problems." He said that when he talks about special arrangements it means treating Northern Ireland differently from the rest of the UK. 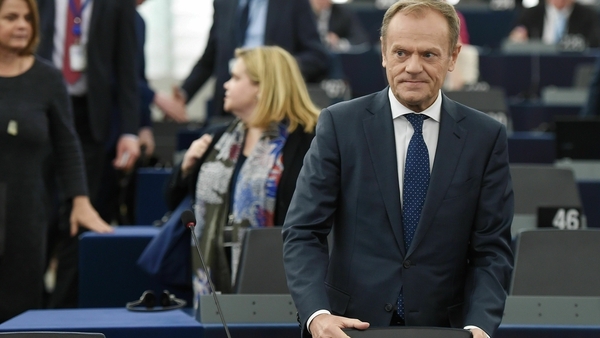 Referring to the recent UK document on tariffs he said it was the British government's proposal to do exactly that in a few weeks' time if there was no deal. Mr Varadkar said British commentators had misrepresented Ireland's position in recent days by saying the Government had accepted a hard border could be avoided using technology around the border if Britain crashes out without a deal. "Let there be no doubt in this house or in Westminster that when I talk about special arrangements I mean treating Northern Ireland differently from the rest of the United Kingdom and it is the UK's proposal to do exactly that," Mr Varadkar said.